I cannot begin to describe how robbed I feel right now. I was totally skunked on what should have been an awesome day. 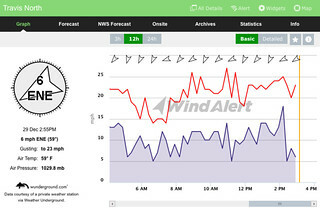 Forecast for 17-40 MPH, it was blowing like stink at my house as I loaded up. 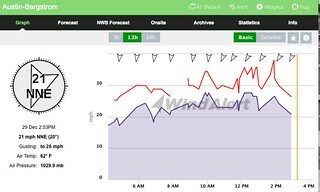 This is what the wind was at ABIA today. When I got to Windy Point, the point was locked. 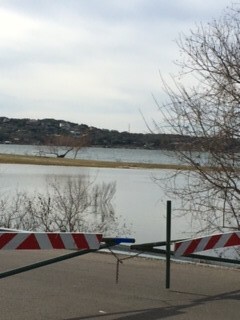 The park rangers said only "maintenance" can open it, and they were concerned about water spilling over the road leading to the point due to strong winds. What??? What wind? 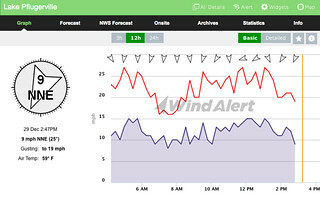 And this is what I got for wind today.